I’ve written a lot of training run recaps. This morning’s will be short: I ran this morning, and it was lovely. Check out my Training Plan for updates on what I’m up to on a daily basis. I’ll be expanding that page to include the exercises I do at the gym, and welcome any and all feedback on my plan. Now, for something far more interesting! I have posted relentlessly about Dr. Phil Maffetone’s 180 Formula for heart rate training, and written about my experience training almost exclusively using this method for almost five months. I have discussed how I PR’d at the Percy Sutton 5k—running a 5:56 per mile pace and besting my previous 5k PR by over a minute—by performing training runs at my maximum aerobic heart rate, and doing (at most) three anaerobic workouts prior to the race. In short, Dr. Maffetone’s method has worked for me. But what about for other people? Here is a great example from Runner’s World of the Maffetone Method at work. 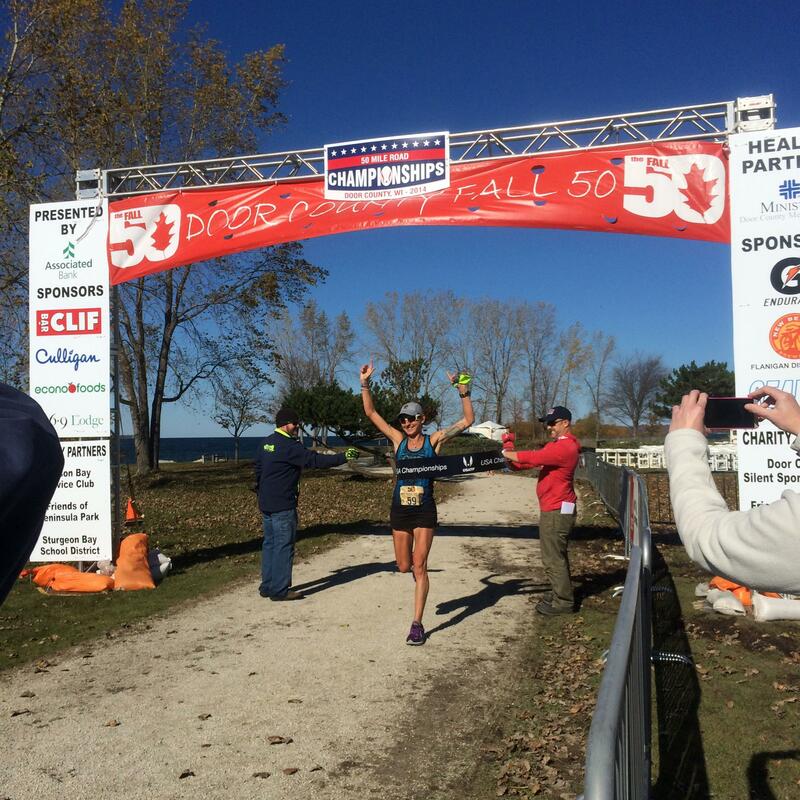 Larisa Dannis, a former recreational runner, ran the USA 50-Mile Road Championship in 5:59:11 in October of 2014, becoming only the third American woman to run 50 miles in under six hours. She will represent the United States in the IAU World 100K Championships in Doha, Qatar in November. She also came in second in the women’s race at the Western States 100-Mile Endurance Run, and was the first female finisher from the mass start at the 2014 Boston Marathon with a time of 2:44:14, only 74 seconds shy of qualifying for the Olympic trials. Finally, “Dannis spent nearly two years building her aerobic base, aiming to not exceed a set heart rate in training. She estimates that she still does more than 90 percent of her training at an easy, aerobic pace.” She has incorporated more speedwork into her routines over time, she says, which also contributed to her excellent finishing time at the 2014 Boston Marathon. Dannis also employs the piece of the Maffetone puzzle that I am just starting to put together: the nutrition plan. From Runner’s World: “Dannis credits the transformation in her running to three things: training via the Maffetone Method, focusing on whole-body strength (she particularly likes kettlebells), and eating a whole-foods diet high in healthy fats and high-quality protein” (emphasis added). Such a diet contradicts the common wisdom that runners need to consume a diet high in carbohydrates before, during, and after a race. Anyone who runs road races knows what I’m talking about: carbo-loading for two-three days before a race, sucking down multiple sugar-happy gels during the race, and pounding all sorts of pancakes and other starchy treats after the race as a reward for a job well done. The idea behind the carb-heavy diet is that the body burns lots of sugars while running, so the runner needs to consume lots of sugars to stay properly fueled. A diet high in healthy fats and protein, however, combined with the maximum aerobic heart rate training advocated by Dr. Maffetone and others, leads the body to burn more fat for fuel. Fat is a more efficient energy source than sugar, and the body creates fewer harmful byproducts at a cellular level when training aerobically and burning fat. This allows faster recovery times, more efficient training, and overall improved health. At least, that’s the theory. As I do more research, I will expand on this topic. For now, because Dr. Maffetone’s heart rate method has worked for me, I’m willing to explore his guidance on the dietary component of endurance sports. As one running buddy once said after declaring his love for tuna melts, “I sometimes wonder just how good I could be at this sport if I nailed the nutrition component.” Some “food” for thought. Get it?! I’m such a dork. Love it. Focus on improving and running each race better than the last. Results come in many forms.